GTS Day round 2 in Cabo, Mexico! 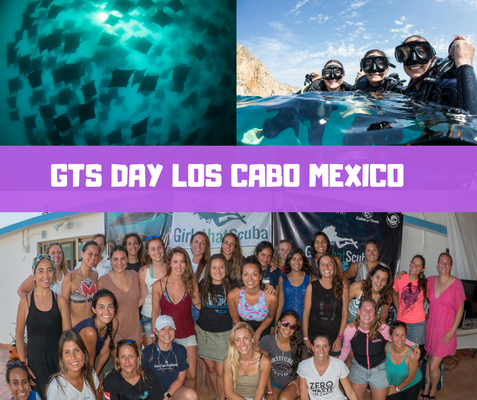 They are becoming quite the events and we are so excited to announce our next GTS day in one of our favourite dive locations - Baja California, Mexico - with some of our favourite dive family Dive Ninja expeditions! For those of you that have attended one of our GTS days before we don't need to convince you why you need to join again - we already have your name signed up! But for the GTS day newbies among you, you've got quite the treat in store! 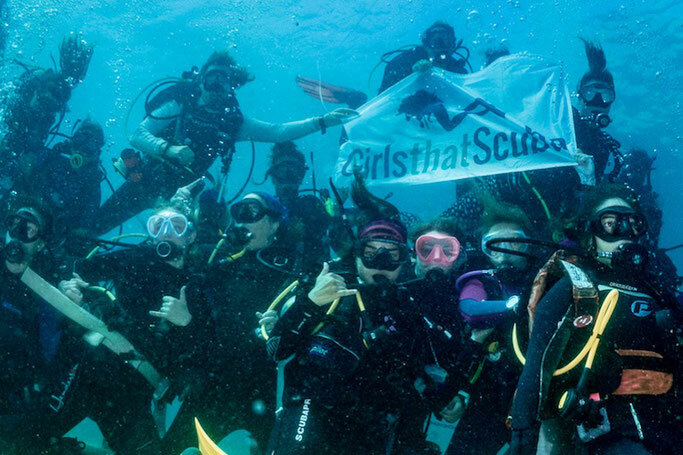 -ALL GIRLS SCUBA DIVE IN CABO. Find out more about the amazing scuba diving in Cabo San Lucas here. 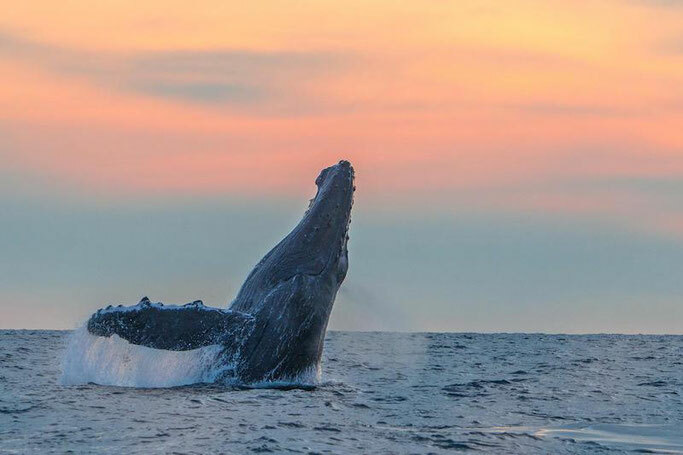 - Humpback whale watching tour!! - Food and evening social ALL WELCOME! There will be GTS goodies, giveaways from our sponsors and so much more! It's a jam packed day full of motivation, inspiration and so much fun! 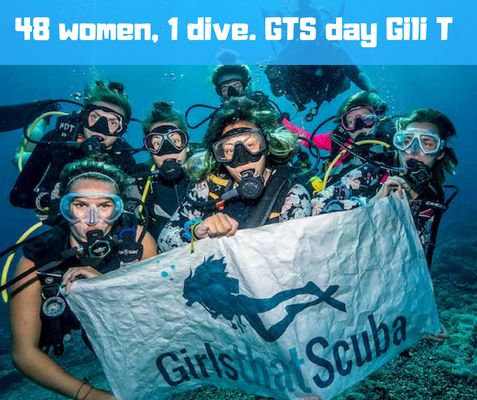 We haven't currently got a price for the GTS day as we are working with sponsors and venues to make it as best value as possible, however don't worry, this whole day won't cost any more than $100 USD per ticket inc whale watching, scuba diving, and the rest of the amazing day! We only have 40 tickets available for this day and are currently adding participants to a waiting list who we will email as soon as tickets come on sale. To add yourself to this list add your details here. Have you ever dived with this many girls? It's' so fun!! We LOVE Cabo and Baja so much! We were out there for a few weeks this year and were blown away with the diving! Hammerheads, mobula rays, dolphins, and so much more! 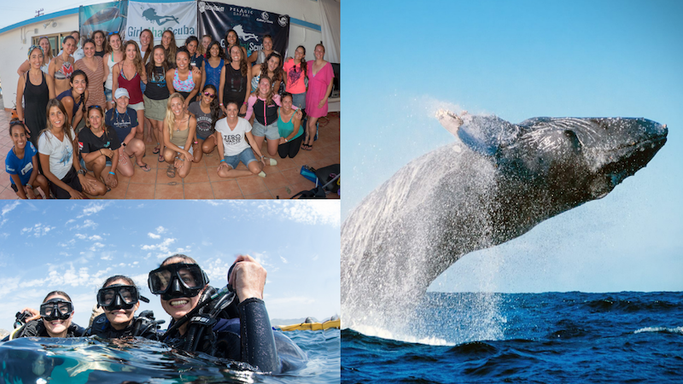 Of course we think you should stay around Cabo for longer than just the GTS day so we've put together some extra activities you can get involved in. Please note these are not GTS trips and are run by local Cabo dive companies which you will need email contact directly to book. Click on the link to email. If you have any questions about any of these tours email info@diveninjaexpeditions.com again! If you are only interested in our GTS day, no worries, we will see you there! After the GTS day we are hosting a super exclusive "Gentle Giants" tour, one of the most sought after trips in the world. An unbelievable natural event happening only one month of the year only in Baja California, Mexico. We only have 5 spaces available for this expedition of which you can find out more details here. We expect this to sell out immediately and is on a first come first served basis.